Fresh fruit and vegetables in season. Strawberries,cherries, raspberries, blueberries, apricots, peaches, blackberries & apples. Home baked goods, homemade jam and jellies, local wines & cherry products, U-pick cherries, barnyard animals. Visit in the fall for a corn maze, cider, pumpkins & donuts. Open June - October. 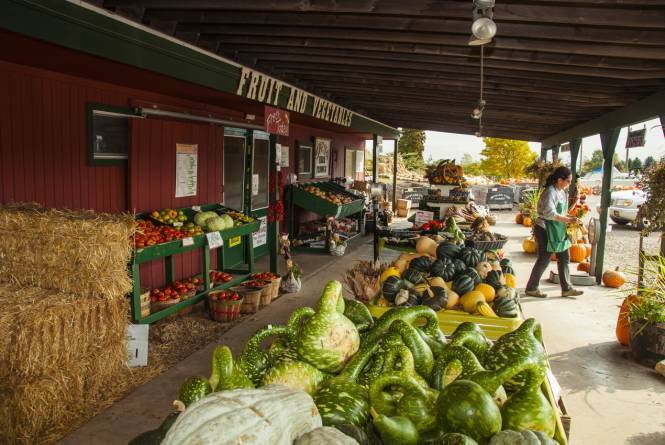 Gallagher's also offers farm tours and a u-pick section at their roadside stand at 8681 Lincoln Rd., just 5 miles outside of Downtown Traverse City!